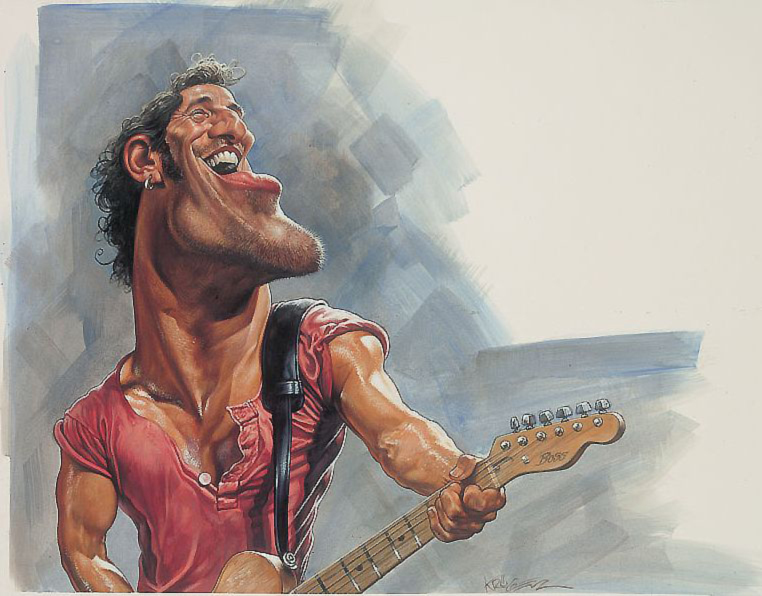 Bruce Frederick Joseph Springsteen (born September 23, 1949) is an American musician, singer and songwriter. Nicknamed "The Boss", Springsteen is best known for his work with the E Street Band. Bruce's poetic lyrics, distinctive voice and energetic stage performances from the 1970s to present, have made him wildly popular; accumulating countless diehard fans around the globe. Springsteen's most successful studio albums, Born to Run (1975) and Born in the U.S.A. (1984), showcase a talent for finding grandeur in the struggles of daily American life. He has sold more than 64 million albums in the United States and more than 120 million records worldwide, making him one of the world's best-selling artists of all time. Springsteen has earned numerous awards for his work, including 20 Grammy Awards, 2 Golden Globe Awards, and an Academy Award; and was inducted into both the Rock and Roll Hall of Fame and the Songwriters Hall of fame in 1999.